Safari in Style in South Africa. A wide range of Tours are possible for visitors – the highlight being a two week tour featuring two of the very best safari areas in the Lowveld (Kruger), and Kwazulu Natal, with luxury lodges and service to match. 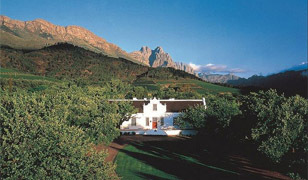 This spectacular tour concludes with Cape Town and the nearby famous wine region. 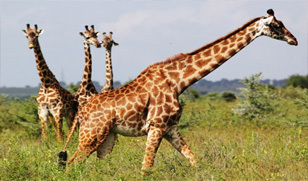 South Africa`s world renowned great safari area is Kruger National Park. 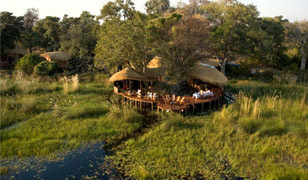 Arguably the most luxurious game lodges in all Africa surround Kruger in the privately owned reserves. 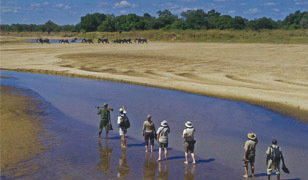 Zambia offers an array of safari activities. South Luangwa, which is one of the best places to see predators such as leopard, is Zambia`s flagship national park, with outstanding lodges and camps. 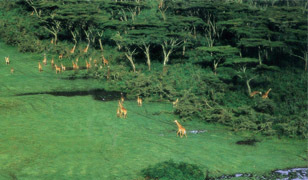 Here the pinnacle activity is tracking animals on foot on a walking safari. The Lower Zambezi is well known for tiger fishing and canoeing. 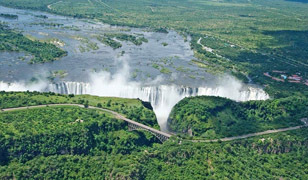 Extreme adventure can be enjoyed with bungee jumping and white water rafting at Victoria Falls. Experience the best of Tanzania and Kenya in great style. Wildlife and cultural safaris offer a mix of luxurious accommodation with exciting game viewing in exclusive wildlife locations. 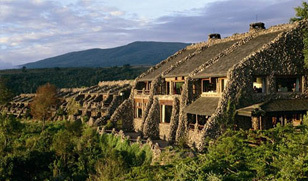 Tanzania incorporates the vast Serengeti Reserve, and the famous Ngorongoro Crater, the world`s largest volcano caldera. Kenya is a country of great scenic diversity with its snow-topped Mount Kenya, northern wilderness areas, Great Rift Valley and Maasai heartlands. Words cannot describe the awesome beauty and power of the Victoria Falls. The mighty Zambezi River draws its waters from the swampy reaches of western Zambia, gathering momentum before its finest moment at Victoria Falls. Here, the two kilometer river plunges over the escarpment and gives off the thunderous roar and has earned itself the name, “ the smoke that thunders”. The area around the Falls has gained the reputation as one of the finest adventure capitals worldwide. Wildlife knows no political boundaries and the spectacular Great Migration of nearly two million wildebeest, zebra, and gazelles has been described as ‘the greatest wildlife show on earth’. 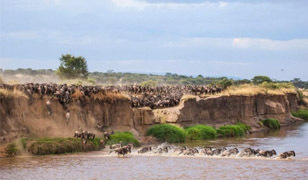 The annual migration moves from the Serengeti in Tanzania, northwards to the green pastures of the Masai Mara in Kenya. Visitors are able to choose between sophisticated luxury lodges and excellent tented camps in different areas of the Serengeti and Masai Mara. Botswana is an unspoiled land of timeless beauty – striking salt pans, diamond- rich deserts, fertile flood plains, vast grasslands, and flatlands. The Okavango Delta, often called Africa`s Garden of Eden, is the largest inland delta in the world. It supports rich and colourful wildlife with a vast area just waiting to be explored. Chobe National Park has the attraction of the largest concentration of elephant herds on the continent. This safari package includes stays at a Nairobi hotel; a luxury tented camp in Samburu Game Reserve located on the banks of the Uaso Nyiro river; and a luxury tented camp alongside a private stretch of the Mara River in the famous Masai Mara game reserve; known for its excellent game and Big 5 sightings. A Tanzania safari is something special, whatever your age, budget, interests or previous safari experience. Almost a third of this vast and spectacular country is protected for wildlife viewing, and these areas include some of the best and most varied safari locations in the world. This is a region of incredible natural beauty with a fantastic range of landscape and terrain. 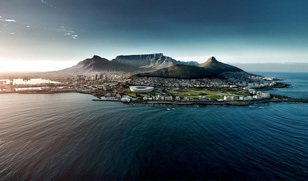 There’s no doubt that Cape Town deserves her reputation as one of the most desirable destinations on the planet! It is hard to find cities this beautiful and this welcoming. From the majestic sweep of Table Mountain – a New 7th Wonder of the World, to the glorious white beaches of its rugged peninsula – washed by both the Indian and Atlantic Oceans, Cape Town has few rivals. Registered Trademarks : The African Collection, The Great African Experience, Magnificent Migrations, Great African Adventures. Designed by African Collection | Copyright © The African Collection, 2016. All rights reserved.